When we have a flawed smile, it can lead to other issues. If teeth are missing or crooked, it can cause your other teeth to respond to these flaws by moving and/or shifting. In order to fix this, it’s time for a visit to the dentist for a smile makeover. One option to improve your smile? Porcelain veneers. Whiten. 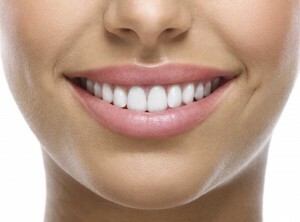 When adhered to the front surface of your teeth, veneers you’re your teeth look instantly whiter. Straighten. Veneers offer a great alternative for patients with crooked teeth who do not want to endure the process of having their teeth straightened with dental braces. Fix. Veneers can fill in and improve the look of teeth that are chipped or broken. Fill in gaps. Veneers can be customized to repair smiles with unsightly gaps. Youthful. A whiter, brighter, more lustrous smile can immediately you’re your face a more youthful appearance. Conservative. 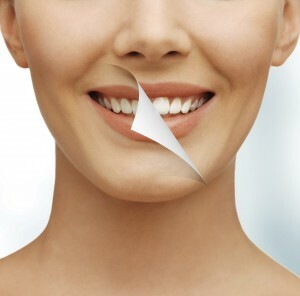 Unlike other cosmetic procedures that require removing a large portion of healthy, natural teeth, veneers can be applied with little alteration. Stain-resistant. Porcelain is stain-resistant, which will make your smile stay brighter and whiter longer. Gum friendly. Gum tissue is not irritated by porcelain. If you’re interested in learning more about porcelain veneers, contact Dr. Larry Lieberman, DDS at 727-785-8017 to schedule a consultation today. Or visit www.dentist-lieberman.com for additional information. This entry was posted in Cosmetic Dentistry, Family Dentist, Family Dentistry, General Dentistry, Oral Health, Restorative Dentistry, Veneers and tagged Cosmetic Dentist, Cosmetic Dentistry, cosmetic procedure, dental care, dental health, dental hygiene, dental issues, dental treatment, dental veneers, Dr. Larry Lieberman DDS, Dr. Lieberman, Oral Care, Oral Health, Oral Hygiene, Palm Harbor, Palm Harbor Dentist, Palm Harbor FL, Porcelain Veneers, Restorative Dentist, Restorative Dentistry, Veneers on January 21, 2019 by admin. Now that we have begun the new year and our healthy resolution changes are in full swing. Did you consider the health of your smile while making these changes? We consider our smile to be the first thing one sees upon meeting, so if our smile is flawed, it is cause for feeling self-conscious. If a crown is the solution to your flawed smile, you can have it fixed with plenty of time to hit the gym and it won’t disrupt your healthy diet either. CEREC is a CAD/CAM technology, computer-assisted design and computer-assisted manufacture system and allows your dentist to make you a customized crown in just one visit. A crown is a functional covering that dentists put over a damaged or decayed tooth or teeth after the dentist has removed the defective area to strengthen a tooth and improve appearance. Before CEREC, making crowns consisted of multiple visits – the consultation, creating dental impressions of your tooth then sent to the lab to make your crown. After a few weeks, you come back to have it placed. Another advantage of CEREC technology is precision. The scanner the dentist uses takes 3D images of your jawline which takes excellent images of the area for the crown. Instead of porcelain, these one-day crowns are made with an enamel-like material. Since no metal is used, the detection of cavities becomes easier. And because we know that how your teeth look is important to you, they can color your crown in a day to match your existing teeth. If you’re interested in learning more about CEREC crowns, contact Dr. Larry Lieberman, DDS at 727-785-8017 to schedule a consultation today. Or visit www.dentist-lieberman.com for additional information. This entry was posted in Cosmetic Dentistry, Crowns, Family Dentist, Family Dentistry, General Dentistry, Restorative Dentistry, Tooth Decay and tagged CEREC, CEREC dental crowns, CEREC technology, Cosmetic Dentistry, cosmetic procedure, Crowns and Bridges, crowns in a day, Dental Crowns, family dentistry, general dentistry, North Palm Harbor FL, Oral Care, Oral Health, Palm Harbor FL, Restorative Dentist, Restorative Dentistry on January 24, 2018 by admin.